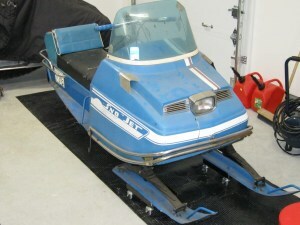 Roland Leblanc has setup a blog following the clean-up and refurbishement of a 1970 Sno-Jet Super Sport. Follow the link for details and pictures of the sled. There is some good information on the blog on what to expect when tackling an older Sno-Jet Project.